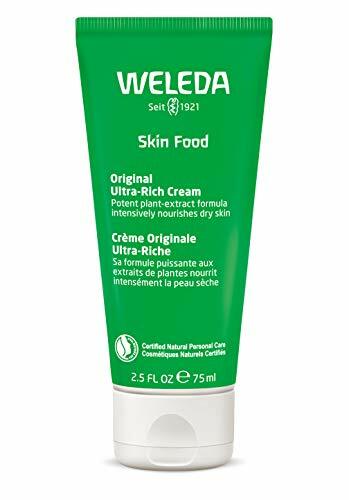 Cerave Sa Renewing Lotion exfoliates, smoothes and softens extremely dry, rough, bumpy skin- like those "please don't touch" rough patches on your upper arms and legs, typically referred to as "chicken skin." Ideal, Natural Body Lotion to Soothe and Renew Your Skin: When it comes to taking care of your skin, you want the best moisturizing lotion you can get, so you can ensure that you are healthy and clean from head to toe. 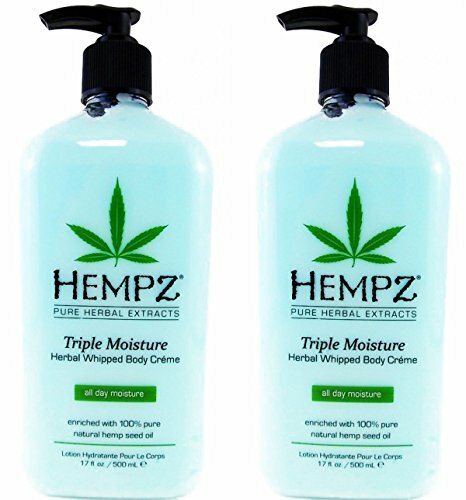 For this reason, Hempz is proud to offer you this top notch, hydrating moisturizer, made with 100% pure, natural hemp seed oil, shea butter. These ingredients will reduce inflammation and dryness, all while leaving your skin feeling like silk. Hemp seed is renowned for anti-aging properties and offering moisture, which makes it perfect for a birthday, Mother s Day, or Christmas gift for anyone. 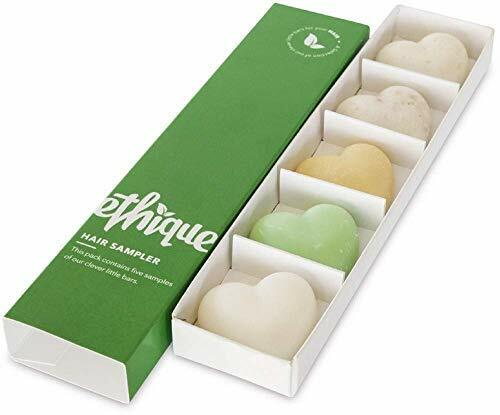 Enriched with vitamins A, C, and E, but containing no parabens, gluten or THC, men and women alike will benefit from our high-quality, vegan herbal creams, in addition to enjoying the scent of flowers and bananas. Item Condition: 100% authentic, new and unused. 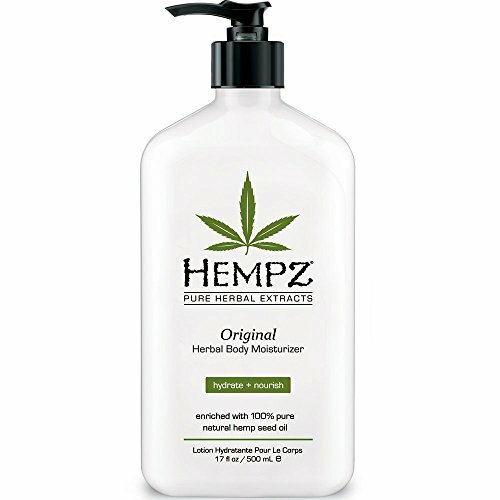 Hempz Original Herbal Body Moisturizer 17.0 oz. Brand: Hempz | Manufacturer: PBI Group, Inc.
Simplify the way you care for your skin with the nurturing, gentle power of Cetaphil Moisturizing Lotion. Preventing dryness before it starts, lightweight Cetaphil lotion is fast-absorbing and enhances skin's natural moisture, leaving winter dry skin feeling soft, smooth and replenished. This moisturizing lotion includes six moisturizers, plus vitamin E and B5, for long-lasting, 24-hour hydration. 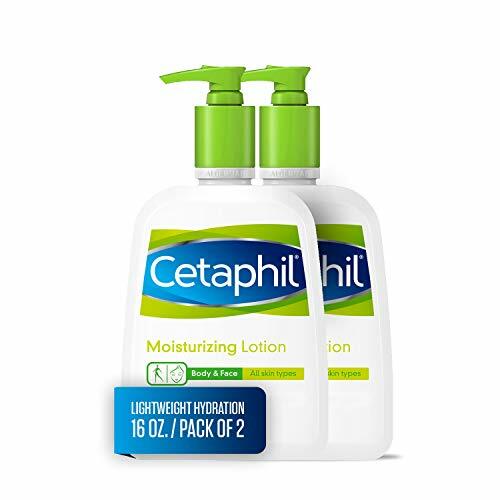 With a fragrance-free and non-comedogenic formula, dermatologist-recommended Cetaphil Moisturizing Lotion is ideal for even the most sensitive skin. Apply daily to dry skin as needed. Repair dull, dry skin with a lotion specially formulated to provide long-lasting moisture. 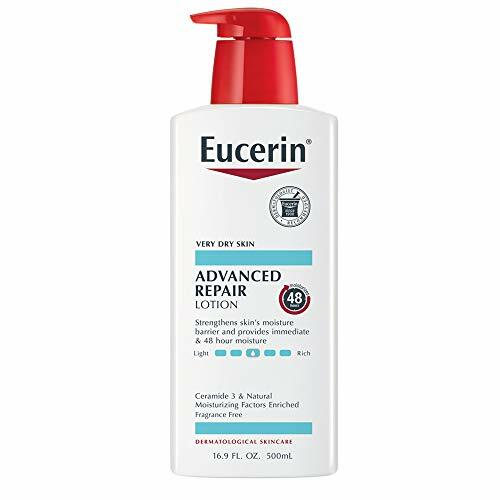 This unique, fast-absorbing lotion combines Ceramide-3 to strengthen the skin s protective barriers and reduce water loss and Natural Moisturizing Factors, a combination of moisturizing ingredients naturally found in the skin that intensively hydrate and help prevent dryness from reoccurring. 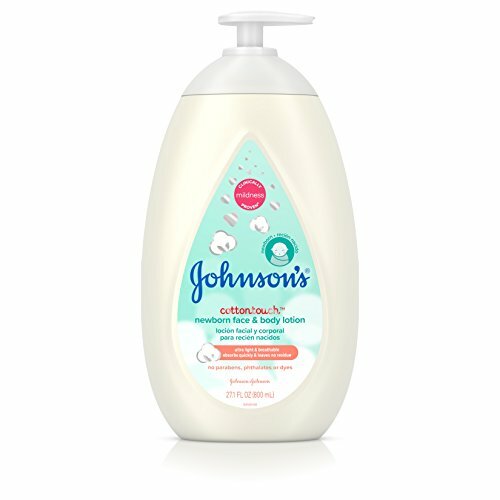 Care for your baby from head to toe with Johnson's CottonTouch Newborn Baby Face & Body Lotion. 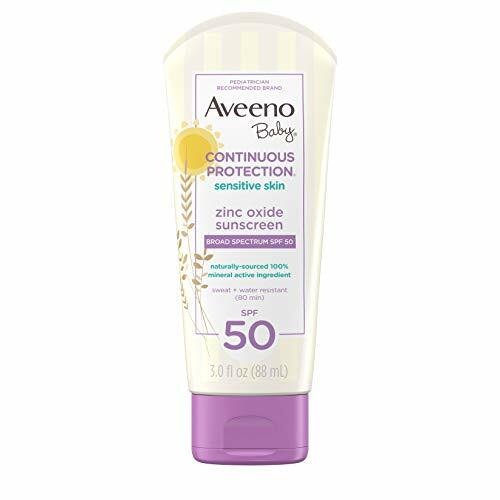 With formula specifically designed for your newborn's sensitive skin, this baby body lotion has an ultra-light, breathable formula that absorbs quickly and moisturizes up to 24 hours. 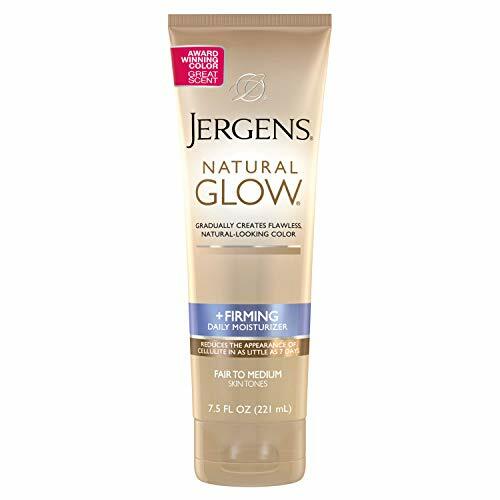 From Johnson's, the number-one choice of hospitals, and clinically proven to be gentle and mild on newborns, this pH-balanced, hypoallergenic baby lotion is free of parabens, phthalates, sulfates, and dyes. The newborn lotion is blended with real cotton and is soft on a newborn's skin. Like all Johnson's products, CottonTouch Newborn Baby Face & Body Lotion is designed to meet or exceed the top internationally recognized regulatory standards, so you can feel good about using it on your little one. 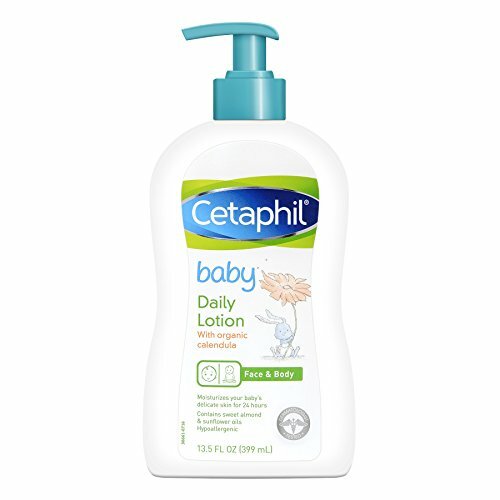 Cetaphil Baby Daily Lotion: Created with your little one's delicate skin in mind. This gentle baby lotion is designed to soothe and nourish, while moisturizing and protecting your baby's skin from dryness. It is specially formulated with soothing organic calendula extract, derived from the marigold flower and used for centuries to soothe dry, sensitive skin. Moisturizes your baby's delicate skin for 24 hours. Item Condition: 100% authentic, new and unused. 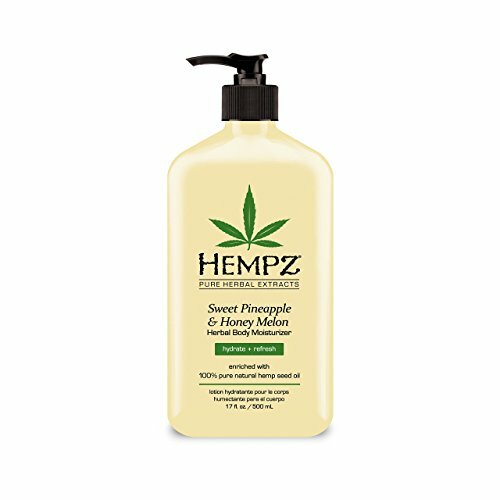 Hempz Sweet Pineapple & Honey Melon Herbal Body Moisturizer 17.0 oz. Our light and silky lotion is enriched with sweet almond oil, vitamins E and C, to protect delicate skin and leave it feeling hydrated and soft. Dermatologist and pediatrician tested; hypoallergenic. Clinically-tested for sensitive skin. Arrives in signature bottle.Natural formula hydrates and protects delicate skin. 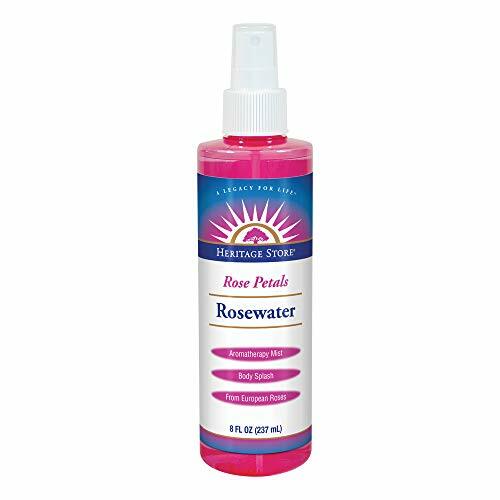 Customers Say: This Rose Water is the best! Great value too! Everyone should have it. 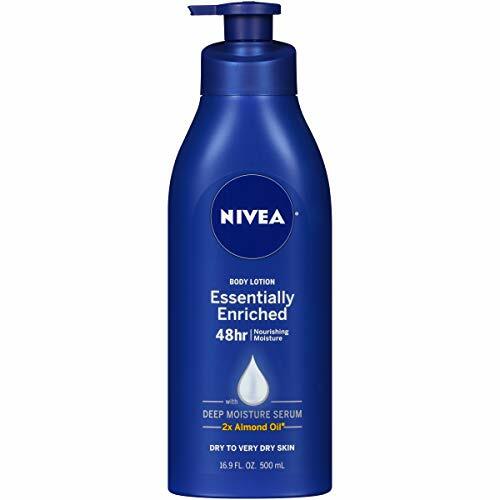 MOISTURIZING BODY LOTION: Envelop your body in moisture with this creamy, hydrating blend. Massage generously all over body in the morning and at night. For best results, pair with Miracle Oil Body Wash and OGX Coconut Miracle Oil Polishing Body Scrub. INDULGE YOUR SENSES with this ultra-hydrating blend from our Extra Creamy + Coconut Collection, enriched with coconut oil, essence of tiare & vanilla bean extract. Restore moisture to the driest skin with this fast-absorbing, rich & creamy tropical blend. Item Condition: 100% authentic, new and unused. Hempz Pomegranate Herbal Body Moisturizer 17.0 oz. 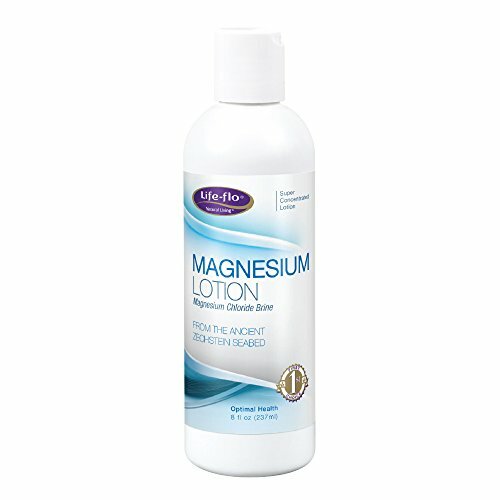 Magnesium Lotion is a highly concentrated lotion of pure magnesium chloride mined deep from under the earths surface from the Zechstein Sea in the Netherlands. Formulated with rich shea butter and coconut oil to soothe and hydrate skin without leaving it feeling greasy. Ideal for massage and can be used daily. Directions Apply to skin, morning and night, as needed. Repeat as necessary, covering any areas needing special attention. 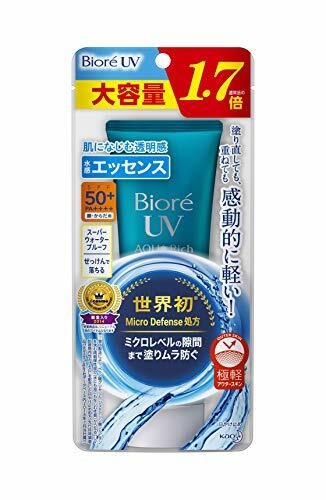 Other Ingredients: Purified Water, Magnesium Oil (Magnesium Chloride Brine), Cocos Nutifera (Coconut) Oil, Caprylic/Capric Triglyceride, Glycerine, Butyrospermum Parkii (Shea Butter), Glyceryl Stearate, Cetearyl Clucoside, Natural Vanilla Oil, Hydroxypropyl Methylcellulose, Potassium Sorbate, Citric Acid, and Xanthan Gum. Customers Say: All my days end with this Life Flo Magnesium Lotion! 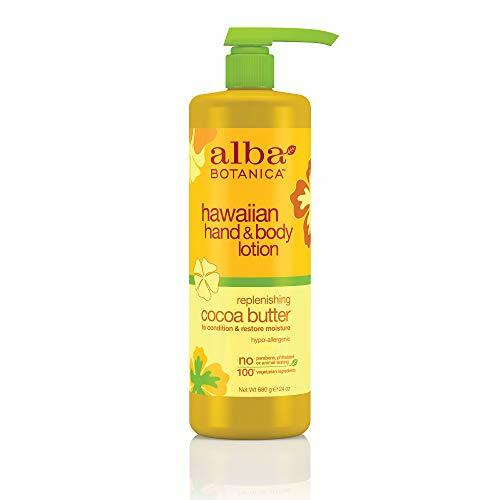 Alba Botanica Replenishing Cocoa Butter Hawaiian Hand & Body Lotion, 24 oz. Treat yourself to an at-home spa day with Alba Botanica Replenishing Cocoa Butter Hawaiian Hand & Body Lotion. 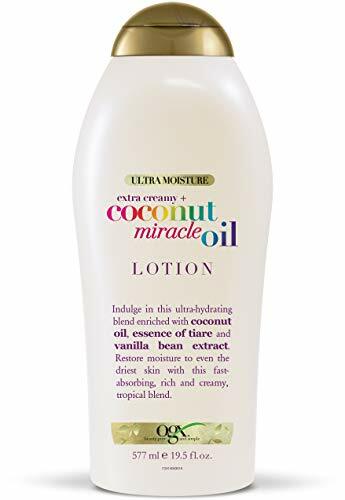 This lotion nourishes and pampers dry skin with botanical emollients such as cocoa butter and shea butter combined with a blend of jojoba, macadamia, flax and sunflower oils. Our 100% vegetarian formula is hypo-allergenic and does not contain any parabens, phthalates or harsh sulfates. It is also not tested on animals. Includes one 24 oz. bottle of Alba Botanica Replenishing Cocoa Butter Hawaiian Hand & Body Lotion. At Alba Botanica, our product family constantly evolves alongside health, beauty, and ingredient knowledge and trends. We re dedicated to making high quality, 100% vegetarian products that overflow with botanical ingredients. Do beautiful that s the motto that motivates our body loving products that nourish the skin, hair and, of course, the soul. 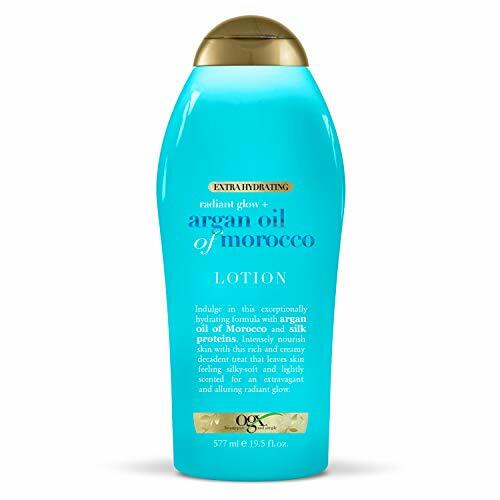 GET GLOWING WITH MOROCCAN OIL: Get glowing and feed your skin with this exceptionally hydrating body lotion for dry skin. Infused with argan oil of Morocco and silk proteins to help wash away the worries of dry skin and leave skin feeling silky-soft. SOFT, SEDUCTIVE, HYDRATED: This rich blend is infused with argan oil of Morocco + silk proteins to help restore even the thirstiest skin, drenching it w/ hydration & helping to leave the skin feeling silky-soft. Discover the Moroccan magic of argan oil.